Q: What type of games do you prefer to play? As I expected, the majority of people who visit Sorcerer's Place prefer to play single player games over any other type. 54% of people voted for this option. 38% of all who voted prefer a bit of both, and only 8% prefer multiplayer games. Q: Which of the BioWare/BIS games & expansions do you feel was the most buggy? Interesting results, that's for sure. Even though it's been three years since the original Baldur's Gate was released, people still remember it as the most buggy game of them all. 21% of all who voted agree on this. Second place with only one percent less goes to Baldur's Gate II, the much-anticipated sequel. In third place with 17% of votes is Icewind Dale, the second Black Isle Studios game to have used the Infinity Engine licensed from BioWare. 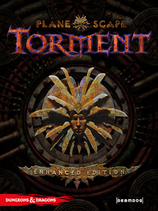 Least buggy of the full games is Planescape: Torment which nevertheless still received 16% of votes as the most buggy one. Quite strange since PS: T actually had only one serious bug which was fixed completely in the patch. As far as expansions are concerned, Throne of Bhaal is in the absolute lead with 13% of people voting for its bugginess. Second among the expansions bug-wise is Tales of the Sword Coast with 7% of votes. And finally, least buggy of the expansions is Heart of Winter with 6% of people voting for it, but I expect this is due to the fact that it sold less than the other two expansions so fewer people have it. Q: Which of the Infinity Engine games (including their expansions) do you think has the best story? Planescape: Torment was voted the game with the best story by the majority of people, 41% of them to be precise. Considering that PS: T was played by considerably less people than BG2, this makes its victory in the poll even more convincing. Baldur's Gate 2 (and Throne of Bhaal) came in close second with only three votes less and was voted the game with the best story by 40% of people. In this case it's just the opposite; many more people played this game but not PS: T.
The original Baldur's Gate (and Tales of the Sword Coast) is in third place with 14% of votes, some of it probably due to the age of the game and the fact that quite a number of people haven't played it. Last place goes to Icewind Dale (and Heart of Winter) which was voted the game with the best story by only 5% of people. Most likely by those who haven't played any of the other games listed above. Q: When the first Lord of the Rings movie is released, will you go see it? The majority of our visitors are true fans of J.R.R. Tolkien's works and seeing a movie based on his most famous book will be a must for most of them (us even). 93% of people who voted will go see the movie no matter what. Hopefully we will not be disappointed. 5% of all voters are not sure yet whether they will see it or not and will wait for reviews to point them in the right direction. Finally, 2% of people declared that they will not go see the movie no matter what. Q: Did you find Throne of Bhaal to be a fitting conclusion to the Baldur's Gate saga? Although quite some time has passed since the release of the official expansion to Baldur's Gate 2, Throne of Bhaal, it seems that many people haven't yet played it for long enough to be able to determine whether they think it provides a fitting end to the Child of Bhaal saga. Of those who voted, 47% said that the expansion indeed is a fitting conclusion to the long journey of the Bhaalspawn we have grown to love. 31% of people are not certain yet, which probably means that they haven't progressed far enough in the game to be able to say yea or nay. 15% of people were somewhat satisfied with the end to the epic saga and 7% were not satisfied with it at all. Q: With the recent rumour about the development of Icewind Dale 2 in mind; would you buy it if turns out that BIS is really working on it? While this rumour still hasn't been confirmed officially, it would make sense for Black Isle Studios to make another Icewind Dale game. The market is obviously still big enough for another game made with the Infinity Engine, and it would explain the mysterious Trials of The Luremaster expansion to the Heart of Winter expansion. Although I would like to believe that BIS made it from the goodness of their hearts and just because most people thought the expansion was too short, it is much more believable that they were already working on the sequel to Icewind Dale so setting aside a few extra maps and populating them with new monsters could have been made simultaneously with the work proceeding on Icewind Dale 2, without delaying the project much. And of course we've all seen that Trials of The Luremaster was done very well and showed that the development team still has a couple more tricks up their sleeve, so you could also consider it a demo of what Icewind Dale 2 will be like. But then again, I could be totally wrong. Only time will tell. 61% of people who voted in our poll said that they would definitely buy a sequel to Icewind Dale if it were made. Only 9% of people who voted replied that there's no way they would buy Icewind Dale 2. Q: We need you to help us out by picking a name you think would be the most appropriate for our new chatroom dedicated mostly to online role-playing. The winning entry gets to stay permanently as the official name, so choose wisely! Well I can't really comment much on this poll (well, I could try, but I doubt anyone'd bother to read it), so let's just say that Minstrel's Medallion won with a majority of votes, so from now on this will be the official title of our role-playing chatroom. Thanks to everyone for participating in this selection! Q: If you could live in a D&D fantasy world, which would it be? Planescape is in second place with 16% of votes, closely followed by Dragonlance, also with 16% of votes. Many people who voted for Planescape were probably inspired by the excellent game Planescape: Torment from Black Isle Studios which familiarized them with a world now more or less abandoned by WOTC, but still fondly remembered by everyone who is not turned off by fantasy a bit different than most people are used to. Dragonlance's popularity however cannot be attributed to any of the games since there haven't been any good ones set there in at least a decade, if ever. So I suppose that most people who voted for it must have read the Dragonlance books and got to know the world from there. Greyhawk is in fourth place with 5% of votes, and it seems that since WOTC made it their official setting for the manuals, it didn't get any more popular than it used to be. The last major D&D fantasy world people would want to live in is Ravenloft with 4% of votes. Other D&D worlds got about 3% of votes. In the poll comments people mentioned Dark Sun, Al-Quadim and SpellJammer as fantasy worlds they would like to live in, and also a couple non-D&D worlds like Discworld and Middle-Earth, but they don't count since this poll was only about D&D worlds. - How could someone not be in Planescape? Sure, Forgotten Realms is a big area. But Planescape is EVERYTHING. Wouldn't you love learning life's secrets from a mimir rather than courting a lowly tavern maid? Feh, I thought not! - Those people who would live in Ravenloft are NUTS! - Why settle for any city less grand than Sigil? - I can't think of raising a family in Planescape or Ravenloft. However, if I get to ride a dragon, it's all good! Q: When Pool of Radiance: Ruins of Myth Drannor finally gets released, will you buy it? The poll results are not surprising; it is obvious that numerous delays in development of the game have taken their toll. Similar polls that were conducted at Sorcerer's Place regarding the already released games (BG2, IWD etc.) all had about 90% of our visitors ready to buy them. In the case of Pool of Radiance, only 50% of our visitors will unconditionally buy the game. Now I can appreciate them wanting to have the game as bug free as possible, but having a game ship more than a year late because of that... Just makes me wonder what exactly is going on at Stormfront. Well, at least the percentage of those who are sure they will not buy it is reasonably low; about 6%. Q: On average, how many fantasy books do you read in a year? Whoa! It seems that our visitors read much more fantasy than I expected. 37% of people who voted in the poll read more than 15 fantasy books per year. In a chat we had about it in FAI (our chatroom) I learned that some people read even more than 300-400 a year! I still don't know if I can believe that, but there you have it. Next is 12%, three times in a row. 12% of people read 7-9 books, 10-12 books and 4-6 books. If put together, about 36% of people read 4-12 books a year. 10% of those who voted read no fantasy books at all. Hopefully with our refurbished Fantasy Books section that is going to change. Everyone should be able to find something that interests him there. Lastly, only 4% of people read 13-15 books per year. Q: Which unique BG2 monster did you find the hardest to kill? Second place goes to Irenicus with a much smaller percentage of votes. Barely 14% of people thought he was the hardest to kill... But then again, by the time most people reached the end of the game and finally fought him, nothing could survive against them for long. Firkraag, the first dragon most people saw in the game, got only two votes less than Irenicus, so they both share the same percentage, 14%. Since most gamers were relatively low in level when they tried to kill him, they died more or less spectacular deaths. Another big jump in percents brings us down to the fourth toughest monster in the game, the black dragon Nizidramanii'yt. 5% of people thought Irenicus' pet was almost too much to handle. The shadow dragon Thaxll'ssyllia received only 1 vote less than the black dragon, which puts it at fifth place with also 5% of votes. 4% of people voted for "other" monsters, but no real name came up in the poll comments. 3% of people found Torgal the troll the hardest to kill. I myself had quite a lot of trouble with him too, since my party was still pretty inexperienced when we cleared out the de' Arnise hold. The last two places go to Bodhi and Wraith Sarevok, who each scored 2% and apparently weren't that much of a challenge. Q: Which stronghold quest(s) in BG2 did you undertake? Anyway, the biggest group of people who voted (27%) undertook the quests associated with the fighter stronghold. Already substantially fewer went for the wizard stronghold, only 18% of those who voted to be exact. The paladin stronghold quest was not too popular either, since only 14% of people did it. The ranger stronghold was only slightly less popular than the thief one, with 10% of people voting for it. The last three strongholds; the Bard, Cleric and Druid one each got almost the same number of votes, so they all have 6% of people going for them. Q: How will your time spent playing & discussing computer role playing games change during this summer? Exactly one third of our visitors who voted in the poll think that their playing habits will not change during the summer. Either to busy or not interested in spending time behind a computer when you could be swimming in the sea or executing any number of other leisurely activities perhaps? Q: Which dragon in Baldur's Gate 2 is your favourite? Firkraag, the red dragon, won this poll with an overwhelming majority of votes. Almost half of the people who voted claim that he is their favorite dragon. Because of his "charming" personality, and because most people saw him first, no doubt. Nizidramanii'yt, Irenicus' black dragon scored only 12% of votes. He was my favourite dragon because he seemed to be the toughest of all I've slain. Maybe also because you can spend quite some time convincing him to give you the goblet, but he doesn't fall for it. He's a smart wyrm after all. The red dragon in hell is the least popular of all. It got only 7% of people's votes, and even that's quite a lot, considering the fact that it was really the one least people wanted to fight, when there is such an easy way around it. Q: Which do you think is the coolest new monster we will see in Throne of Bhaal? Don't you just *hate* power outages when you're working on a computer? Well, it happened to me when I was making the comments to this poll. Of course, I didn't bother to save the thing in the process, so I lost the whole lot. Second place goes to the Demogorgon, the Prince of Demons. It is contended by some that this demon prince is supreme. His hatred for Orcus is immense and unending, followed closely by his hatred for Graz'zt. (Two other demon lords). Demogorgon appears as an 18-foot tall reptilian-humanoid. He has two heads that bear the visages of baboons. His blue-green skin is plated with snake-like scales, his body and legs are those of a giant lizard, his twin necks resemble snakes, and his thick tail is forked. In place of arms, he has two huge tentacles. Demogorgon attacks first using his gaze weapons and should any survive the onslaught, he will utilize his tentacles, tail, and bites. He uses his spells and spell-like abilities liberally in combat, and should the combat go against him, he will summon demons to cover his escape. This impressive monster got 24% of votes. Third coolest monster on the list is the Succubus with 14% of votes. Since it is a rather common monster and most people have seen one in Diablo (if not in Planescape: Torment), I won't bother with more elaborate descriptions. Next is the Solar/Planetar with 12% of votes. The Planetar (similar to a Solar) is a powerful, extra-dimensional creature that resembles a biblical angel. It possesses excellent melee combat abilities as well as a powerful spellbook and intelligence enough to heal a comrade when they are stricken. Fifth place on the popularity list goes to the Undead Beholder. 7% of people think that will be the coolest new monster. This is a pretty common sort of beholder, so I won't go into lengthier descriptions. Just imagine an even more disgusting, green, rotting, floating orb and you're there. In the 6th place with 6% of votes (heh) are the Baatezu. Abishai, Barbazu, Erinyes and a couple of others all fall in this category. If you have played Planescape: Torment, you know them well. In seventh place with 3% of votes is the Fire Giant, closely followed by the Hive Mother, also at 3%. Fire Giants are nothing really new (we've seen them in Icewind Dale), but in ToB they will have an important part in the story, and they will use a totally different model and animations. In the 9th place with 2% of votes is the Magic Golem. Thought to be the horrible mutation of unfortunate mages trapped in wild magic zones, the rare magic golem appears as a glowing yellow humanoid form. Composed of pure magical energy, the magic golem subsists by absorbing magic in all its forms. Spells cast at these fearsome creatures, as well as magical effects and magically charged items coming within too close to the golems aura, are instantly and completely absorbed. Unlike the brutish physical attacks of most other constructs, magic golems attack by unleashing a devastating beam of pure energy. The range of the golems blast is such that few who encounter these terrible entities are able to escape before being obliterated by the lethal beams. The water weird is a life form that has its origins on the Elemental Plane of Water. They attack all living things, draining their lifes essence as the victim lies dying. inhabits. It appears as a large serpent constructed entirely of water. In combat, the water weird lashes out, attempting to wrap itself around its prey, dragging it into the water where the weird attempts to drown it. Q: If you could have a romance with any of the NPCs that can join you in Baldur's Gate 2, which one would you pick? The problem is, some people who voted don't really know enough about the game so as soon as they saw Imoen on the list they started calling everyone who voted for her sick and so on. Well, they show their ignorance as soon as they call Imoen sister, when she is in fact only your half-sister. Anyway, a couple of days after this poll was set up, a topic about it was opened on our message boards, so go check that out if you want to hear all the pros and cons regarding it. While Viconia is the winner of the poll, only a few minutes before I changed polls, Imoen was still in the lead, so I'll call it a tie. The third most popular female was Aerie, with a little over 15% of people voting for her. Jaheira fares only marginally better than Nalia (both gained 10% of votes), which is quite surprising. It looks like in the end, Jaheira doesn't come out any better than she did in the original Baldur's Gate. As I suspected, the halfling paladin-wannabe Mazzy got the least votes, only 4%. As far as men are concerned, it is quite obvious that a overwhelming majority of women absolutely hated Anomen, who is the only romance option for women in the game. Only Korgan fared worse, and only by one vote. Obviously Bioware should have hired a woman to pick a more suitable romance partner. The absolute winner among men is Haer'Dalis, as I suspected. Follower-ups are Valygar, Minsc, Yoshimo, Edwin, Jan, Keldorn and Cernd. Q: How do you feel about Sarevok being the new NPC in Throne of Bhaal? Thanks to whoever inspired me to ask this poll question in our Friendly Arm Inn. As I suspected, it was received quite well. The majority of people who voted (almost 40%) agree with the statement that Sarevok, your rather unfriendly half-brother whom you killed once before in the Undercity of Baldur's Gate, and yet again in Hell, (though some debate arose on our message boards whether the Sarevok there was the real McCoy or just a figment or your imagination) might prove to be an interesting addition to Throne of Bhaal, the official Baldur's Gate 2 expansion. 12%, the smallest group of voters, doesn't care much about Sarevok or any new party member for that matter, and simply state the cold fact that they do not have any room for a new party member. I suspect this would be the case with a much higher percentage of people, but these 12% simply won't budge to give their poor half-brother a chance at proving himself worthy of their presence. Q: Will you be playing the upcoming free downloadable Heart of Winter expansion pack? Although not many people voted in this poll, the majority of those that did seem to be eagerly anticipating Black Isle Studios' free downloadable dungeon which will be approximately 75-100 MB in size. Since most people who have played Heart of Winter complained that it was too short, this bonus feature might improve their opinions a bit. 21% of people aren't certain yet whether they will play it or not; there have also been a few complaints in our poll comments about not being able to download such huge files over dial-up. I recommend GetRight or Go!Zilla which are two nice programs that allow you to resume downloading files if you get disconnected in the middle or aren't able to get them in one session. But since BIS will provide one big file for all those folks lucky enough to have connections fast enough to download it one shot and a split package for all of us on dial-up, that shouldn't be that much of a problem. Finally, 8% of people said that they will not play the extra dungeon no matter what. Q: Should we start posting screenshots of the day (submitted by you, the users) for the games we cover? It is more or less pointless to post the results of this poll since the Screenshot of the Week has been up on the front page since Monday, but here are the results for anyone who might have missed the poll. As we can see, the majority of people who voted in the poll agreed that we should start collecting screenshots, and so we did. People have already sent me a couple of good ones I can post, but I'm always looking for more. So, if you have any screenshots you think are worth posting here, please send them over. Screenshots can be from any of the games we cover here at Sorcerer's Place. Q: How will you play Throne of Bhaal? As a follow-up to the previous poll where 90% of our visitors voted in favor of buying the Throne of Bhaal expansion, this time we asked how will you go about doing it. About a quarter of people who voted will finish the game and Watcher's Keep (Add-In area) first, then proceed to kill Irenicus and into the Add-On area. A sensible idea if you are not done with everything in the game yet. Although since the Watcher's Keep will be accessible from both the old world map and the new one, it will not really make much difference. Only 13% of people will begin a new Throne of Bhaal-only game, so the Wild Mage class will not be used that much apparently. A shame, since Bioware seems to be putting a lot of effort into wild magic this time around. 12% of people will import from a savegame before the end of the game and go straight into the expansion. All chars below 2 million XP will be bumped up and given a bag of holding full of powerful goodies, so no one has to worry about not being mighty enough to venture into new lands. Q: Will you buy Throne of Bhaal, the final part in the Baldur's Gate saga? We ran a similar poll a few months ago when the name of the expansion to Baldur's Gate 2 was not known yet; and guess what? The results of this poll and the previous one are practically identical. Back then out of 560 people who voted, 89% answered yes, of course, 8% were not sure yet and equally 3% of them answered they will never buy the expansion. Q: What do you find most interesting to read about on our front page? I won't bother to comment much on this poll since I made it mainly to satisfy my own curiosity, and since I know that this kind of polls is not exactly popular. The votes have been spread quite evenly among all available options, with game previews being the most interesting to read about and site news the least interesting. Q: How often do you visit Sorcerer's Place now that we constantly post daily news here at the front page? But no matter, we have still managed to collect some interesting data about the visiting habits of the people who were kind enough to give their vote. About 30% of people visit us daily. Although this is not a bad figure (still highest in the poll), it could certainly be better. We hope to lure even more of you into checking us daily for news, so we will do our best to continue supplying news at the rate we are going now. A big Thank-you to Darien, our Daily News Editor is in order here. 22% of people visit us once every few days. I imagine these visitors to be the kind that don't bother to check every single newsbit that comes up, but prefer to have a wide selection of news online to only sort through what interests them. Site news are most likely included in this group. 16% of people are our greatest fans - they visit us more than once a day. News hunters and members of our message boards and chatroom fall under this category. 4% of people visit us only once a week. These are probably casual gamers who do not care for daily news or anything else, but simply come around every week to look if anything new was posted in the Site News. Q: Who is your favourite fantasy book writer? Polls about fantasy literature we have done in the past were very well received by our readers, and this latest one was no exception. J. R. R. Tolkien, the founder of the whole fantasy genre as we know it today and an extraordinary author of such epic tales as The Lord of the Rings and The Hobbit still dominates the hearts of more than 40% of people who have voted in the poll. It seems that time can do little to prevent people from finding his books to be something truly magical. The author may have passed away, but he has left us with an amazing legacy of works that have yet to be published and a great number of titles that have been reprinted dozens of times since their original release. Who knows, maybe someday a better storyteller will be born, but I do not anticipate this to be anytime soon and am quite certain that Tolkien will remain on the throne as the most beloved of all fantasy writers for generations yet to come. R. A. Salvatore is the second most popular fantasy writer at the moment with 16% of people voting for him. His unforgettable characters like the dark elf Drizzt, the barbarian Wulfgar and the dwarf Bruenor are probably the most widely known residents of the Forgotten Realms. While Salvatore's writing could hardly be called epic, it does have a certain appeal and "magic" that makes it popular by today's more modern generations of readers, especially those familiar with Dungeons & Dragons. Third place and 13% of votes go to Robert Jordan, another prominent name in the fantasy field of literature. His Wheel of Time series of books are getting more and more popular and some have even named him to be the best fantasy author since Tolkien. The list is in no particular order but it does include all other authors people have suggested. Next with 9% of all votes are Weis & Hickman, the creators of the Dragonlance Chronicles saga and many subsequent books about dragons. A recommended read if you are looking for a bit of diversity from the stereotypical fantasy worlds most of today's fantasy writers prefer. 6% of people have chosen Terry Pratchett as their favourite fantasy writer. While his fantasy is fundamentally different from that of all others on the list, it is quite popular nonetheless. The last 3 authors on the list (Goodkind, Cunningham and Greenwood) only scored 5% of votes combined. While I was not totally surprised with the outcome in the case of the first two, I was amazed that only 4 (!) of 658 people chose Greenwood as their favourite writer. Do not get me wrong, I am not saying that the quality of his writing dictates that he should be any higher, but the sheer amount of material he has produced over the years and the wide circulation of it made me think that he would have at least a small number of die-hard fans. Obviously not so. For those not familiar with his works I should note that it includes everything from novels, game sourcebooks and manuals to entire fantasy worlds. And not just any ordinary worlds, the man created the Forgotten Realms! Yes, that's right, your favourite game playground in the Baldur's Gate and Icewind Dale series of games, not to mention all the pen & paper campaigns. Quantity obviously does not denote quality in this case. And another ironic thought to ponder: The Forgotten Realms fantasy world is a blatant copy of just about everything Tolkien came up with, from monsters, races, type of behavior certain fantasy races display, names and a number of other things. There is very little creativity in FR, unlike in some other fantasy worlds such as Planescape, which is in my opinion the only really original and cool world TSR has come up with. And guess what? It is also one of the least popular fantasy worlds. While I like it very much, the majority of others seem uncomfortable with it. Could it be that we have grown so accustomed to the type of fantasy Tolkien introduced us to that we are unable to accept something that does not relate to him at least to some degree? Yes, in fact I think that IS the case. So with Tolkien's idea of fantasy, a great problem was also born. Lack of creativity in the genre, a feeling of being restricted in what you can write, and fear of writing something that will not appeal to the general public. To make it even worse, all three go hand in hand. There are few fantasy writers who were able to go beyond the frames set by the genre a long time ago and succeed. Pratchett is one of them, and yet he is most popular in United Kingdom where people have a bit different perception of humour and are maybe just because of that, also more ready to unconventional fantasy. Who knows? This is certainly a topic that could be debated a lot more. Q: Which was in your opinion the most useless thing of any kind in Baldur's Gate 2? But all our rants were not in vain, for shortly after this poll was created, the folks at Bioware have promised to make darts more useful in the upcoming Throne of Bhaal expansion. We will have to wait and see. For now, 28% of people find them useless. In third place are Familiars with 13% of all votes. And since not everyone played a character that could summon one, I'm certain that the level of dissatisfaction with pets is extremely high among us more magically inclined types. Bioware also promised some improvements in this field, but nothing concrete is known at this time. Stay tuned for more info when we get it. Finally we come around to the Horn of Blasting. Blasting is right, usually half of your party into oblivion while at it. We have had countless rants about this at our forums, and no one liked this horn, so I'm surprised it wasn't ranked higher than 6%. Wand of Wonder, i.e. "That Screwy Wand" gained 5% of votes. Either there are actually people who found it useful, or few of those who voted actually found it. Frankly, I think this one should be among the top three. And that's about it. There were dozens of listings of NPCs who sucked in someone's opinion, but the poll wasn't about that, so I see no sense in listing them. And the last item on the list, the Equalizer, seems to be quite popular with the masses. I wonder why, since by the time you put it together, you have an arsenal full of better weapons. Or maybe it was just me, since only 3% of people found it useless. Q: Which new feature in the BG2 expansion, Throne of Bhaal, excites you the most? As expected, the majority of people (29%) are very pleased with the fact that they will finally be able to reach truly god-like levels without cheating. The limit now set at level 40 should be enough for even hard-core power gamers. 21% of people are waiting to see the new areas impatiently. One of the them, namely Watcher's Keep, a dungeon similar to Durlag's Tower in the Tales of the Sword Coast (BG1 expansion) was described by Bioware as "one of the coolest dungeons we've ever made". Add to the list your own Abyssal Stronghold, an Underdark fortress and a few more and you've got a lot to look forward to. More romance(s) are in third place with 13% of votes. Bioware have promised that all previously started romances will continue in the expansion as well, and just maybe there'll also be a new one (Mazzy). We will have to wait and see. Fourth most popular new feature in the expansion is the Wild Mage kit. Obviously quite a lot of people (11%) are looking forward to playing this powerful but unpredictable new kit, or recruiting the new NPC who might be a wild mage him/herself. 9% of people are very interested in the new NPC, but alas, there is no official information regarding him/her at this time. Most likely (s)he will be a wild mage, but this is purely speculation at this point. New spells excite 8% of people who voted in the poll. Not only will you now have the option to cast all those high level mage spells that you couldn't previously because of the experience cap, but there will also be a slew of new ones for wizards and priests. In seventh place with 7% of votes are new weapons & items. Obviously not something that most people would have missed in the original game, since there were really so many good items that it was hard to choose which ones to use. But still, the expansion will bring even more better and more powerful weapons and items. Only 3% of people are excited about the new monsters in ToB but since there is little known about them at the moment, this isn't surprising. What we do know is that there will be at least one new powerful dragon to kill and that solars will be in the game also. Stay tuned for more info.